Extend your reach with professionally produced and fully-managed webinars & webcasts through our proprietary platform. Cost-effectively and powerfully communicate with customers, members, and employees, live or on-demand. CommPartners is leading the way in helping our clients create exceptional, collaborative and energetic webinar and webcast experiences. Whether your online web events are small group discussions or organization-wide presentations with thousands of geographically dispersed participants, we have you covered with our fully-managed webinar hosting services. 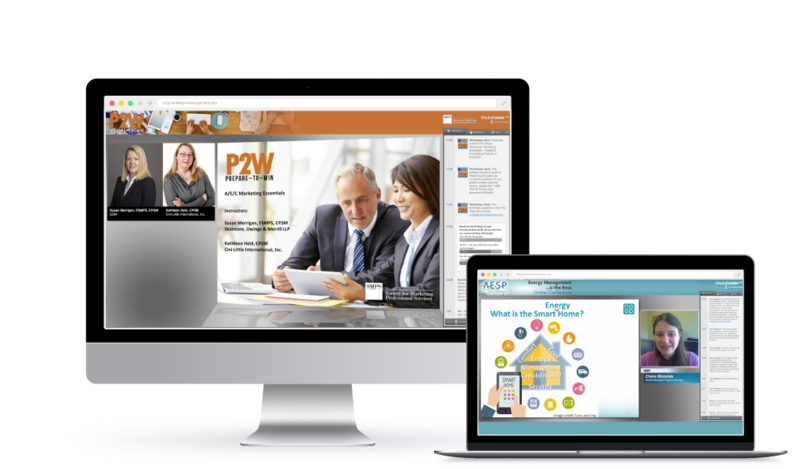 Our proprietary webinar and webcast hosting platforms provide the opportunity for presenters to share and collaborate around any type of content including: videos, flip charts, documents, whiteboards, presentations, online demonstrations, and resources. Turn to our experienced event team for complete turn-key program production where we do all of the heavy lifting, and you can focus solely on delivering your content. Our webcast and webinar hosting platform is fully integrated with our learning management system, Elevate, to provide a seamless experience for program design, registration and payment, authentication, and attendance. Leverage polls, knowledge tests, and discussions before and after your event. Include post-event assessments, surveys, and certificates.